I've posted plenty of photos from Disneyland at the end of the night, glancing up Main Street at the castle from Town Square. But I haven't done much (if anything) for this in Disneyland Paris. In my opinion, still the most beautiful of the Magic Kingdoms, Disneyland Paris' Main Street is especially charming, with an extra European flare. Sleeping Beauty's Castle in the background makes for a wonderful beckoning icon, and a scene like this just fills me with longing to go back. Ah well, I guess those are travel goals, right? 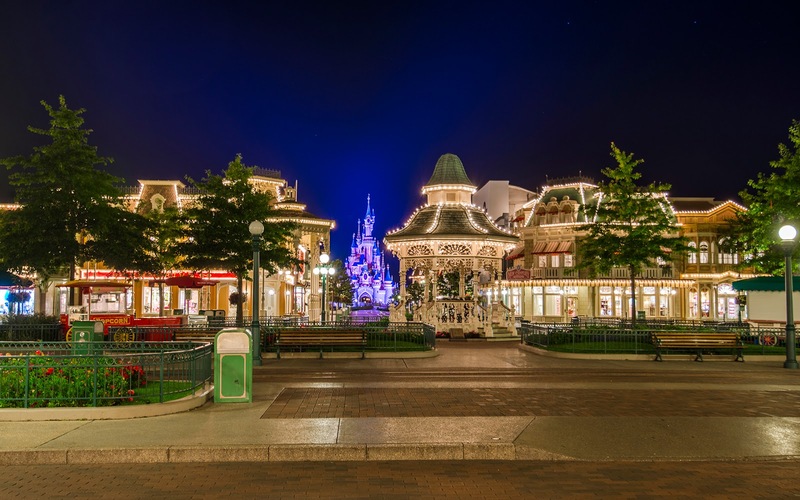 The peace of Disneyland Paris' Town Square at the end of the night.